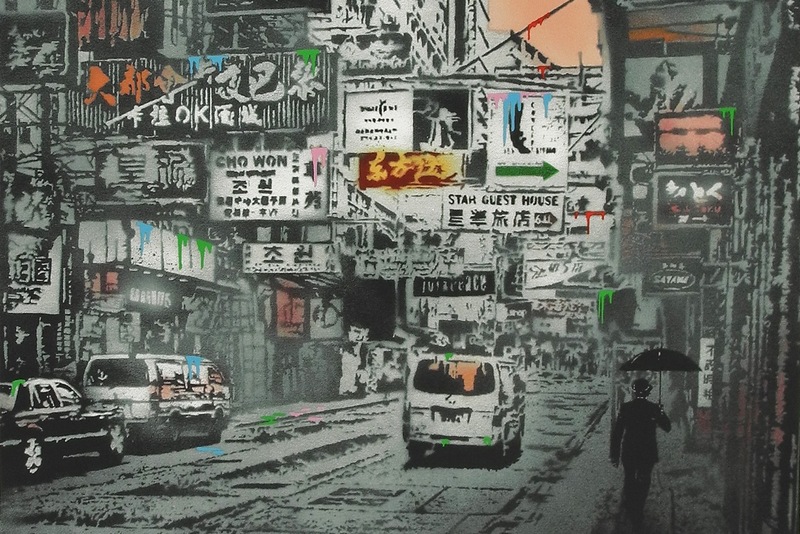 Fans of Nick Walker (interviewed) can always count on two things – intricate stencil work and the iconic The Morning After (TMA) series where his signature “Vandal” runs amuck “beautifying” some of the most prominent cities around the globe. 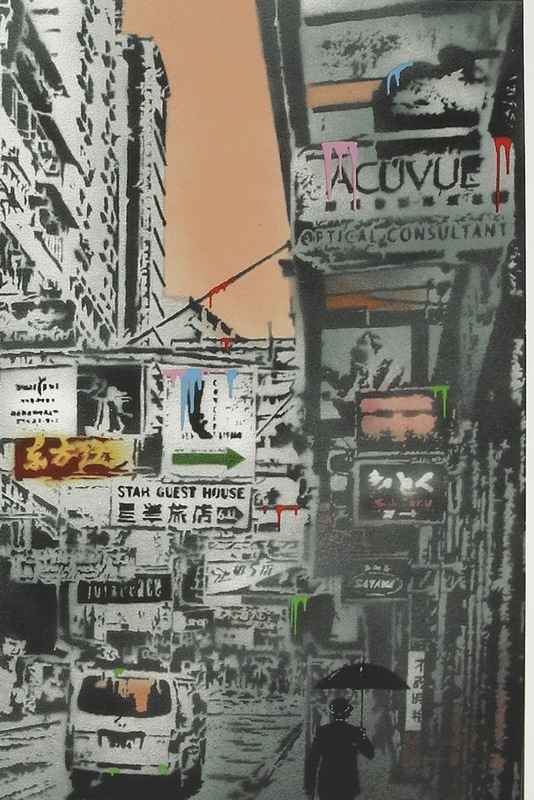 Some may remember East West Connect, the exhibition where Mr. Walker first unveiled (here) this site specific painting of the streets of Hong Kong, entitled Basking in the Glory. 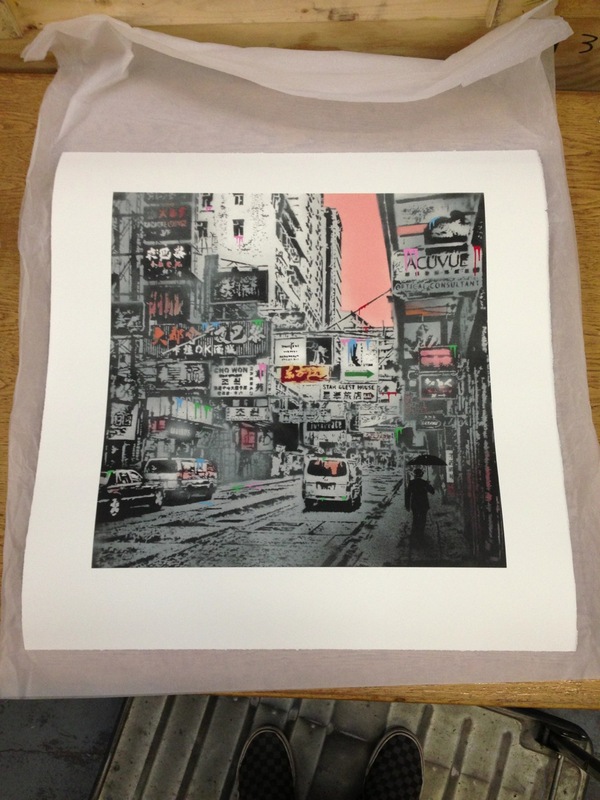 After two years, Nick finally makes good with his promise to release this as a 15 color silkscreen. 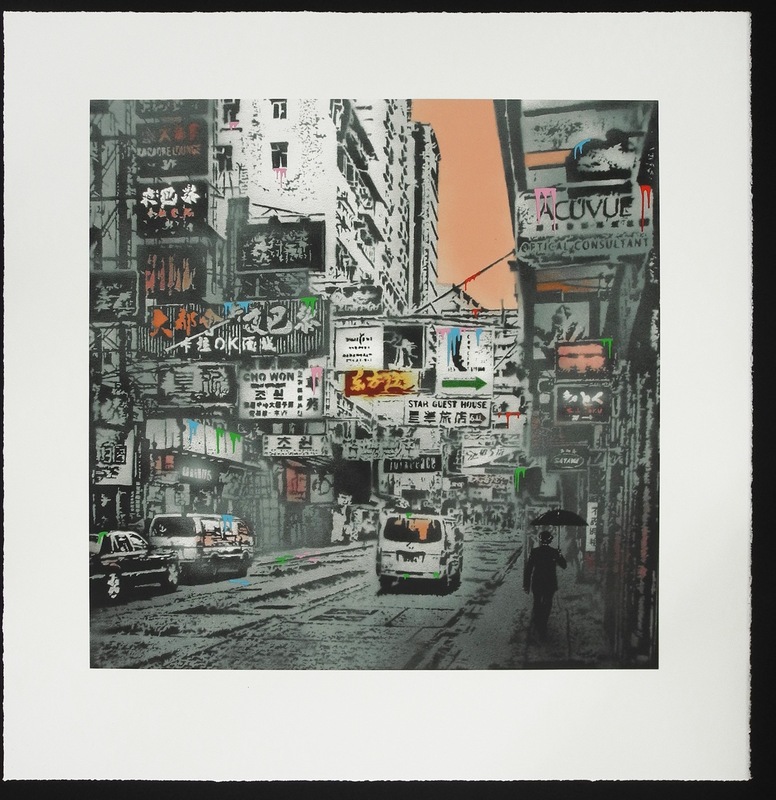 Created in an edition size of 150, the first hundred of the TMA Hong Kong print will be released first come first serve on TheArtOfNickWalker.com today at 7pm GMT (2pm EST & 11am PST). The remaining 50 will be offered via lottery. We all know how tough getting your hands on a TMA print can be, so Mr. Walker & AM have teamed up for a fun little contest on Instagram. We want you to get creative and share your favorite city where you want to see the Vandal hit up next! How to play? Between now and Jan 5th, simply post on your Instagram, a picture of yourself (Vandal gear optional) in the scene/location of where you envision the next TMA. 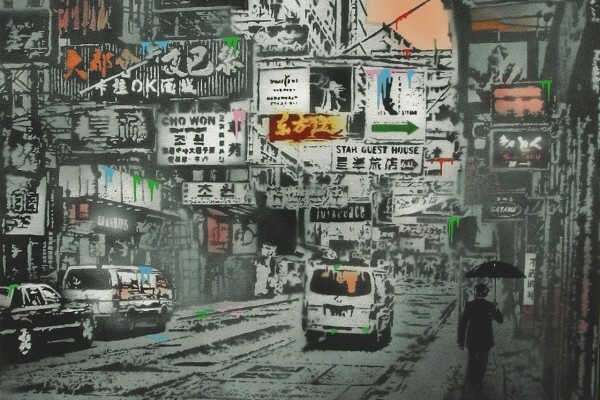 Please use the hashtag: #VandalWasHere and also hashtag the city you’re repping (i.e #HongKong). Categories: Contests, Releases, Street & Urban Art. 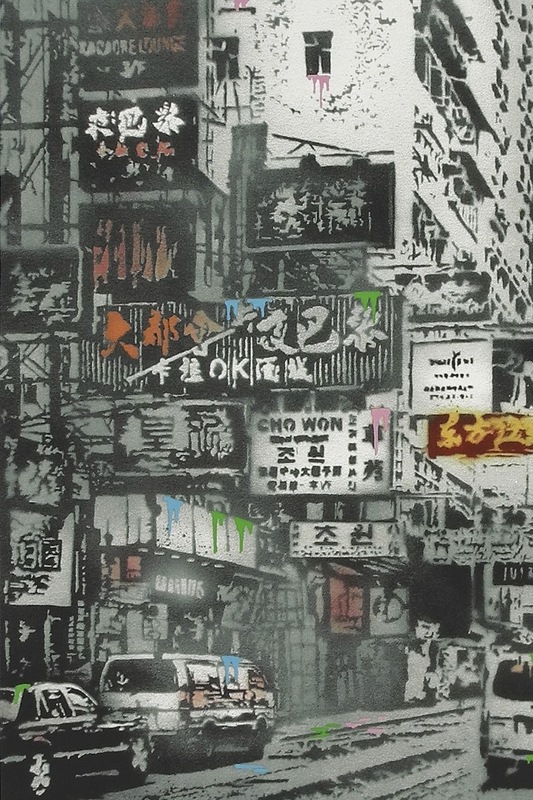 Tags: Contests, featured, Instagram, Nick Walker, Prints, Releases, slider-featured, Street & Urban Art.